American famous singer, record producer and actor John Francis Bongiovi, Jr. is born on March 2, 1962. 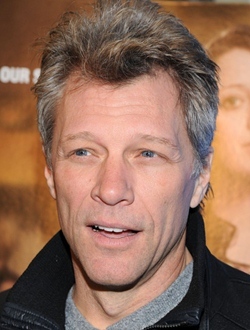 He is better known as Jon Bon Jovi and mostly recognized as the founder and frontman of rock band Bon Jovi. During his career, John has released twelve studio albums with his band and two solo albums, all of which received critical acclaim and success. Jovi’s musical career began with the formation of the band Bon Jovi in 1983 and a year later they released their self-titled album which received positive reviews. Bon Jovi became an international act in the late 1980s when they released their hit albums, Slippery When Wet and New Jersey. In 1990, he as well began his solo career as a singer and released his debut solo album Blaze of Glory- Young Guns II. Besides singing, Jon Bon is also an actor and performed various roles in numerous films including Little City, Cry Wolf, New Year’s Eve and a television series Ally McBeal. Philanthropically, Bon Jovi established The Jon Bon Jovi Soul Foundation in 2006 which exists to combat issues that force families into economic despair. As far as his personal life is concerned, Jon Bon Jovi has been married to his high school sweetheart Dorothea Hurley since 1989 and the couple has four children together. Complete Name: John Francis Bongiovi, Jr. 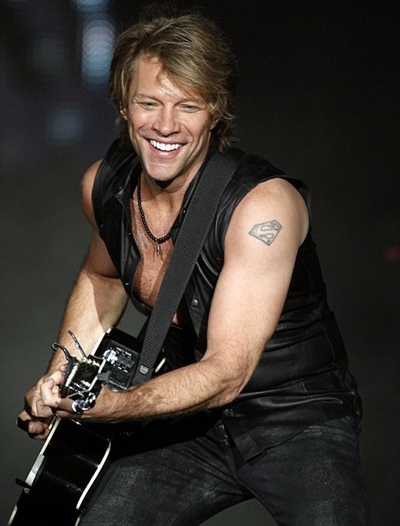 Listed below are the complete singer Jon Bon Jovi body measurements including details about his height, weight, chest, waist, biceps and shoe size. His nick names are Johnny and Captain Kidd. Jovi began playing in clubs when he was 16 years old. He is the founder of The Jon Bon Jovi Soul Foundation.